CMYK weaves together the love for art, design and books together. While the brand started in 2009 with it’s first store opening in Delhi, CMYK today has 8 unique spaces across India. With over 20,000 titles from award-winning publishers such as Thames & Hudson, Laurence King, Antique Collector’s Club, Tate Museum, British Museum, Abrams, Skira, on subjects ranging from art, photography, architecture, travel, lifestyle, specialty cookbooks, fashion, and gardening, to a select collection of fiction, non-fiction, biography etc. 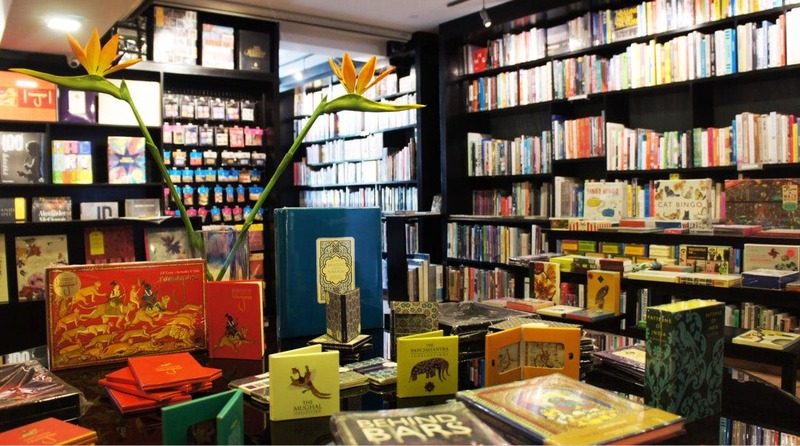 They also have a wide selection of books from Roli Books, publishers of quality-illustrated books for over three decades. Besides books, CMYK offers a carefully curated selection of stylish design objects like chairs from Pantone Universe and quirky stationery like pens, alarm clocks, radio cubes, giant calculators, mini binders, photo clips, book clocks, USB hubs. From the functional to the extravagant, there's something for everyone. Wish we could grab a coffee too. They have a huge space of about 500 sq ft which can be hired for pop ups and workshops. Check out their events and film screenings. Coming up on the 16th is the screening of Khayal Darpan by Yousuf Saeed followed by a discussion with the film maker.